Girls, I know the cold weather may have set in but I’m sure many of you are going to be wanting to look bronzed and beautiful this party season. Don’t worry, I’m in the same boat and I’ve found a product that will be great at ensuring your tan fades evenly between applications and comes off fully at the end. This will leave your skin ready to apply a fresh new layer of tan now that Christmas is over and you’re getting ready for the New Years Eve celebrations. 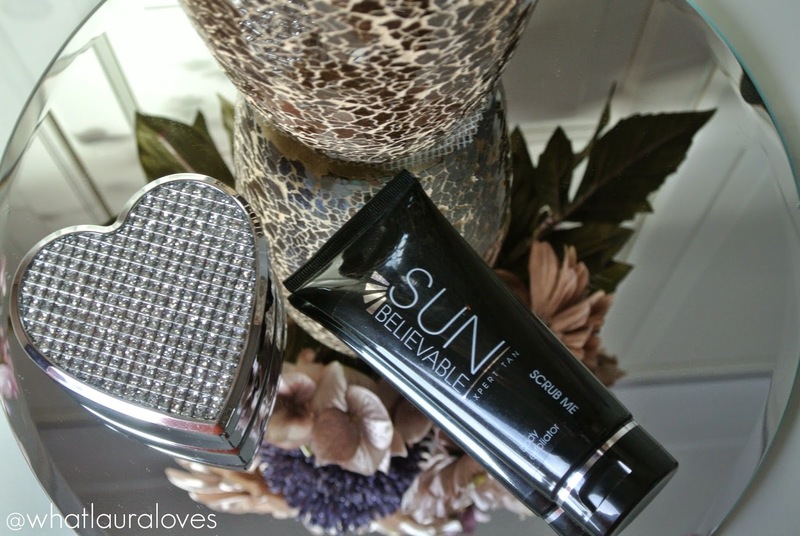 The Sun Believable Expert Tan Scrub Me Body Exfoliator is packed full of exfoliating particles that are designed to slough away dead skin cells and false tanning build up from the skin. It is a salt free scrub that is made up of natural walnut shell and Ecuadorian ivory palm seed set in a gel. It also contains Acqua Biomin Gem which is a blend of precious gems, diamond, pearl, turquoise and opal proteins which work together to leave the skin feeling smooth and prepared for the application of false tan. 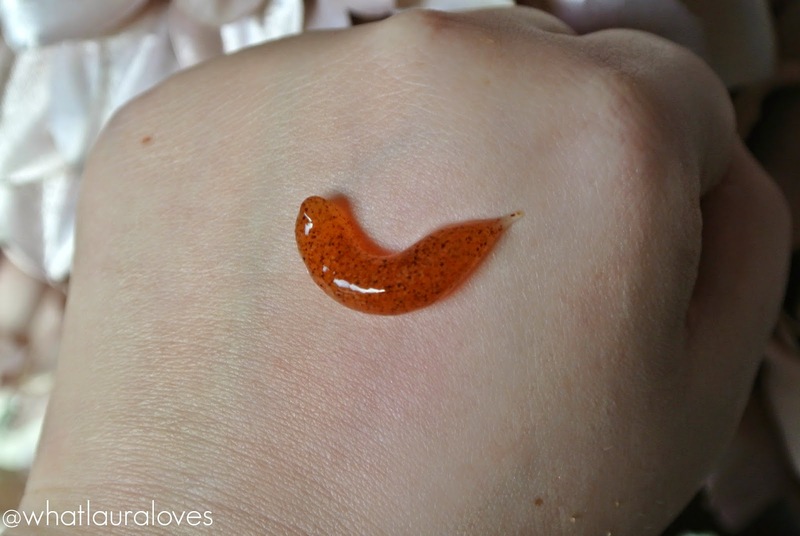 I would suggest using this scrub to help to gently but effectively buff the skin to get rid of dead skin cells before you apply your tan, while your tan is on your skin to help it to fade evenly (I’d suggest using it every other day in the shower) and on your last day or wearing your tan to get rid of the rest of it so that your skin is completely smooth ready for your next tanning application. I love the scent as its lightly awakening and quite zingy thanks to the blend of essential oils of Sicilian lemon and lime in the formula. 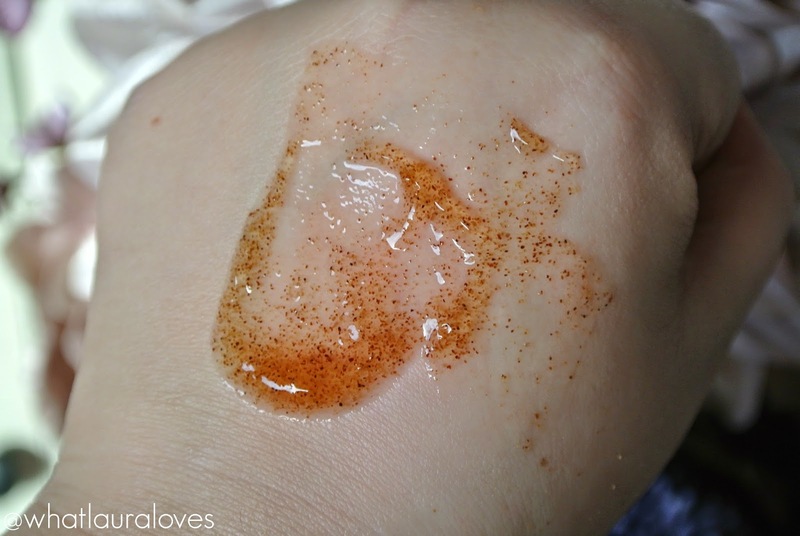 The scrub doesn’t dry the skin out at all or leave it feeling tight. In fact, the Acqua Biomin in the formula has actually been found to increase the skins hydration by 24%. I find that it works best when you shower first, then step out of the stream of water, buff it into your skin in circular motions to increase the abrasiveness and then go back under the water to wash it off. 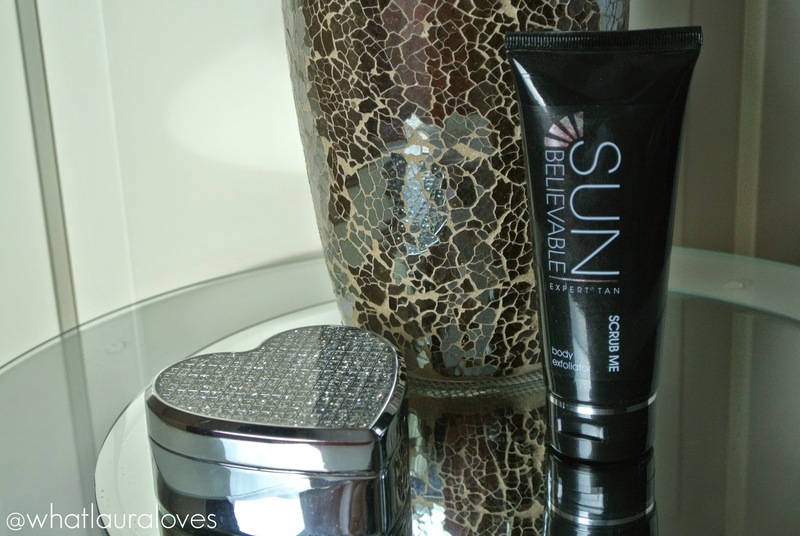 You can pick up a bottle of the Sun Believable Expert Tan Scrub Me Body Exfoliator here. Will you be tanned for New Years Eve or are you rocking the equally beautiful pale English rose look?